You’ve wandered into the local whitegoods retailer to take a look at a few air conditioners. It’s a sweltering summer and the kids are on your back, so you’ve gone out to literally cool the situation down. You take a look around the store and realise there are two ‘Mitsubishi’ air conditioner brands – Mitsubishi Electric and Mitsubishi Heavy Industries. You could be forgiven for being confused. While they both carry the Mitsubishi name, they are in fact separate companies and have been since 1921 when Mitsubishi Shipbuilding Co. (now Mitsubishi Heavy Industries, Ltd.) spun off a factory in Kobe, Japan that made electric motors for ocean-going vessels, and became a new company called Mitsubishi Electric Corporation. From this time both companies continued to manufacture their own unique products. In this report we review their air con offerings, to help you find the perfect appliance for your home. Both brands are relatively on par with price, save for the Mitsubishi Electric Signature Series, which is completed in a piano black finish and is more aesthetically pleasing than your average air conditioner. However, if aesthetics isn’t your main concern, then some fair prices can be had from two of the leading competitors in the industry. For Mitsubishi Electric, it’s important to note that some of its models offer nano particle filters that can help with deodorising the room, while Mitsubishi Heavy Industries offer a Photocatalytic Deodorising Filter in combination with an Allergen Clear Enzyme Filter. Both brands claim ultra-quiet operation and acceptable energy ratings. Another thing to note is that there is a rather large jump in price from the 3.5kw renditions to the 5kw bracket – save money by assessing the room you’re cooling and whether you need more than 5kw of power. When looking at the specs, the Mitsubishi Electric 7.1kw air conditioner features 8.1kw heating capacity, to keep you warm in winter with 2.5 stars for cooling energy efficiency and three stars for heating energy efficiency. The Mitsubishi Heavy Industries 7.1kw model (pictured) has a slightly lower heating capacity of 8kw and in turn, scored three stars for both cooling and heating energy efficiency ratings. While Mitsubishi Electric’s unit has a recommended retail price tag of $2,399, it could be had for under $2,000, making it closer in price to the Mitsubishi Heavy Industries model. 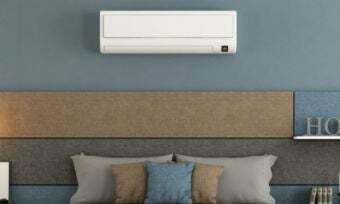 It’s evident that, in terms of size and power, Mitsubishi Electric has a more diverse range of ducted air conditioners, and with this comes a broader range of prices. Mitsubishi Heavy Industries supplies a lot of 3 Phase in High and Medium Static varieties, which is no more or less efficient. Medium Static is generally a quieter system in operation as it provides less External Static Pressure ideal for shorter duct runs. 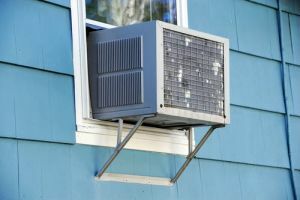 It really depends on the size of your house (the high-capacity varieties are generally reserved for the largest homes and office buildings) to determine the size and price of the ducted air conditioner you need, and whether you really need a ducted air conditioner at all. Quite simply, ducted air is a more energy-intensive and costly way to cool a house if not installed correctly. The Mitsubishi Electric PEARP100GAAVKIT ducted system (pictured) is identical to Mitsubishi Heavy Industries in its cooling and heating capacities of 10kw and 11.2kw respectively. The Mitsubishi Electric offering is a single phase unit equipped with a multi-language display, weekly timer and the ability to set upper and lower temperature limits to prevent it from excessive cooling and heating. According to Mitsubishi Electric, this can help save energy and reduce power bills. The Mitsubishi Heavy Industries FDUA100AVNVF2 ducted system is also stated to be a single phase model with external static pressure control. In addition, it’s said to be equipped with self-diagnostics function and a weekly/sleep timer. While both are in a similar price bracket, the Mitsubishi Electric model comes in slightly higher. These air conditioners are among the cheapest and simplest to install. You find space in a window pane, safely install it there, and then simply plug it in. All the components are within the one enclosure, where cool air is forced in, and the rear of the box sits outside forcing warm air outside. Both Mitsubishi Electric and Mitsubishi Heavy Industries have discontinued their window-mounted models, as the current trend has gone the way of wall-mounted units instead, which are typically more energy efficient and quieter. Window-mounted air conditioners aren’t called window rattlers for nothing! Overall, window-mounted air conditioners can offer an incredibly quick and easy way to cool a room that does not require professional installation. The compromise with this is they are noisy and relatively inefficient. Where can I buy Mitsubishi Electric and Mitsubishi Heavy Industries air conditioner? Mitsubishi Electric air conditioners are sold via multiple channels including Appliances Online and Betta Home Living. There are a number of other retailers who also sell its air conditioners and you can find the nearest store via its website. Mitsubishi Heavy Industries, on the other hand, is exclusive to the Good Guys and Bunnings. There are many factors to consider when buying an air conditioner for your home. Luckily, both Mitsubishi Electric and Mitsubishi Heavy Industries offer competitively priced products and are considered at the top of the industry in terms of quality and reliability. It’s hard to go wrong with either. Mitsubishi Electric offers a Signature Series, but these nice design features come at a price. Mitsubishi Heavy Industries seems to have more of a no-nonsense approach to air conditioning with a narrower range of prices. Overall, it’s hard to decide between the two as they are both quality brands. How much does ducted air conditioning cost?